On 24 October 2018, the FCA published a report on the progress of its consumer communications campaign on PPI mis-selling (the “CCC”) and its supervision of the manner in which firms are handling PPI complaints. The progress report is the latest of a series of publications from the FCA on PPI mis-selling following the Supreme Court decision in Plevin v Paragon Personal Finance Limited, in which the Court held that a lender’s failure to disclose the level of commission taken from a PPI sale gave rise to an unfair relationship between creditor and borrower under the Consumer Credit Act. 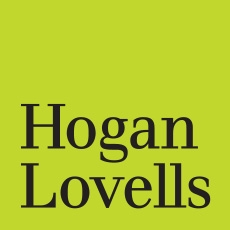 Previous blog posts from Hogan Lovells have considered these FCA publications and the associated regulatory changes in detail, most recently our blog post on the FCA’s July 2018 consultation paper. The final deadline for consumers to make new PPI complaints to a firm or the Financial Ombudsman Service is 29 August 2019. The first phase of the CCC was launched by the FCA in August 2017 to raise awareness of this deadline and prompt consumers to check whether they had PPI. The FCA has also been monitoring firms to ensure that the complaints process is straightforward as possible for consumers. In the progress report, the FCA confirmed that both firms and consumers have reacted positively. Firms have taken steps to ensure the provision of adequate information and assistance to consumers and the fair handling of consumer enquiries and complaints. The improvement in firms’ performance in deciding PPI complaints was reflected in the Financial Ombudsman overturning or amending fewer complaint decisions in recent months. On the consumer side, there been an increase in consumers taking action in the 10 months since the launch of the CCC, with monthly volumes of PPI-checking enquiries up 40% and the number of PPI complaints up 63% as compared to pre-CCC levels. The FCA stated in the progress report that during the CCC’s second year, it will focus more on strengthening consumer understanding of how to complain and what actions consumers need to take before the deadline. The FCA will also continue to supervise firms so as to ensure that firms further improve their handling of PPI claims and are prepared to deal fairly and effectively with complaints in the final run-up to the deadline. The FCA intends to publish its final report in early 2020, which will provide a review of the overall impact of the FCA’s measures on PPI mis-selling and draw the issue to a close.